This blog has been left somewhat neglected over the past year, largely because my writing energies have mostly been expended in the service of my schoolwork. One of the most exciting and interesting assignments I had this semester was a pretty standard profile assignment about any person, place, thing, event, or whatever we wanted to write about. 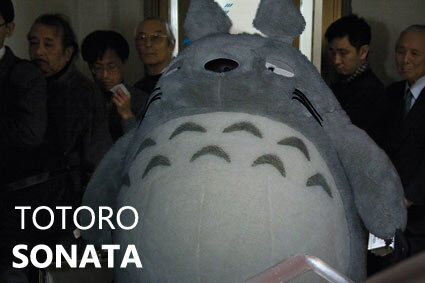 I selected Salt Lake’s City’s Japantown as my subject. I threw myself into the work more than was probably necessary to attain a decent grade, spending dozens of hours in research, studying maps, reading interviews, and tracking down publications. 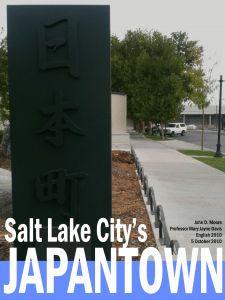 Salt Lake’s Japantown (demolished in the sixties to make room for the Salt Palace Convention Center) and Utah’s early Japanese population as a whole have a rich history vital to the development of Utah and the United States that is largely unrecognized outside the Japanese American community. This paper is a modest report on a deep and fascinating topic. I wish I’d had more time to research and write a more polished and thorough survey. Instead, I offer here this cursory overview of the Salt Lake neighborhood from its beginnings with E.D. Hashimoto’s employment agency, its role during World War II as Japanese Americans’ center, and through to its destruction in the mid-sixties. If it’s something you’d like to know more about, the University of Utah’s special collections department has an impressive amount of material, from interview transcripts to photography collections to a complete record of the Terasawas’ Utah Nippo, a newspaper that ran for eight decades.